It's a perfect time for a early Sunday morning BLOG. I haven't started my day yet, ie my grocery shopping trip to Super Wal-Mart or doing my Laundry yet, but I thought I would do a BLOG this morning. After reading my Sister Kim's Geeky News blog yesterday it opened my eyes up to a few things. The one thing that really stood out to me was something that Google is doing with Google Base. They continue to push the bar higher and higher for everyone else. Kim pointed out Recipees on her BLOG, I may be using it to find an apartment before long. But that's possibly a later story. I noticed yesterday that Mon Valley Paintball has updated their website. Yours truly is on the front page of the site with a group of guys that played. I'm on the right side of the picture with the WVAQ guys, my softball team is on the left side of the picture. I will say I have played football, wrestled, bowled, baseball, ran track, played basketball, softball, I've played volleyball, racketball, and probably another half dozen sports that I have forgotten about. I will say that paintball is probably the most intense sport that I have ever taken part in. If I had the time and money (not to mention youth) to play it, I think I would get addicted to this game rather easily. Maybe someday I'll pick up golf instead. Pam corrected me on a previous post, Moke's day of graduation will be on May 27th, not the 28th as I stated in a previous BLOG. I guess what they say about you losing pieces of your mind when you get older must have some credibility. I don't know what I was thinking when I typed the 28th, I swear I looked at the calendar right before I typed that in the post. Must be some kind of a conspiracy. I see Amy has made a recent post on her BLOG. I wonder if any of the stale blogs that I have linked on the right will follow her lead and give us a little something to read about. I'm thinking about taking a nice walk on rails to trails this evening, anyone up to joining me? Let me know, it's very relaxing and could be a good time. I found this and felt it shoudl be reposted. Below is the letter sent to victims’ families this week by Randal McCloy Jr., the sole survivor of the Sago Mine disaster. The letter mentions several mining terms: a “man-trip” is a vehicle that transports miners, a “rescuer” is an emergency air pack, and a “coal rib” is a mine wall. The explosion happened soon after the day shift arrived at the mine face on January 2, right after we got out of the man-trip. I do not recall whether I had started work, nor do I have any memory of the blast. I do remember that the mine filled quickly with fumes and thick smoke, and that breathing conditions were nearly unbearable. The first thing we did was activate our rescuers, as we had been trained. At least four of the rescuers did not function. I shared my rescuer with Jerry Groves, while Junior Toler, Jesse Jones and Tom Anderson sought help from others. There were not enough rescuers to go around. We then tried to return to the man-trip, yelling to communicate through the thick smoke. The air was so bad that we had to abandon our escape attempt and return to the coal rib, where we hung a curtain to try to protect ourselves. The curtain created an enclosed area of about 35 feet. We attempted to signal our location to the surface by beating on the mine bolts and plates. We found a sledgehammer, and for a long time, we took turns pounding away. We had to take off the rescuers in order to hammer as hard as we could. This effort caused us to breathe much harder. We never heard a responsive blast or shot from the surface. We eventually gave out and quit our attempts at signaling, sitting down behind the curtain on the mine floor, or on buckets or cans that some of us found. The air behind the curtain grew worse, so I tried to lie as low as possible and take shallow breaths. While methane does not have an odor like propane and is considered undetectable, I could tell that it was gassy. We all stayed together behind the curtain from that point on, except for one attempt by Junior Toler and Tom Anderson to find a way out. The heavy smoke and fumes caused them to quickly return. There was just so much gas. We were worried and afraid, but we began to accept our fate. Junior Toler led us all in the Sinners Prayer. We prayed a little longer, then someone suggested that we each write letters to our loved ones. I wrote a letter to Anna and my children. When I finished writing, I put the letter in Jackie Weaver’s lunch box, where I hoped it would be found. As time went on, I became very dizzy and lightheaded. Some drifted off into what appeared to be a deep sleep, and one person sitting near me collapsed and fell off his bucket, not moving. It was clear that there was nothing I could do to help him. The last person I remember speaking to was Jackie Weaver, who reassured me that if it was our time to go, then God’s will would be fulfilled. As my trapped co-workers lost consciousness one by one, the room grew still and I continued to sit and wait, unable to do much else. I have no idea how much time went by before I also passed out from the gas and smoke, awaiting rescue. I cannot begin to express my sorrow for my lost friends and my sympathy for those they left behind. I cannot explain why I was spared while the others perished. I hope that my words will offer some solace to the miners’ families and friends who have endured what no one should ever have to endure. 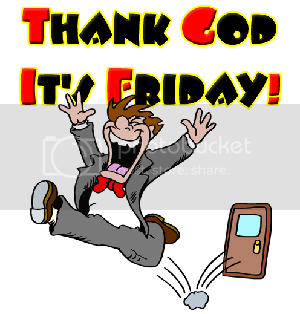 Woo Hoo, we have made it to the end of another week, and it's Friday!!!! I have a few minutes at work waiting on some data, so I thought I would take a few minutes out to BLOG. I hope everyone has had a good week. * I may have a big decision to make here in the next few weeks. I plan on being out of town next Thursday night and Friday day. I'm not going to say anything over the internet as to any specifics, but I am shall we say testing my marketability. * Speaking of Marketability. Rumors had it this week that WVU head basketball coach John Beilein was leaving WVU and heading to NC State. He never addresses any rumors, but he did manage to officially address this one stating that the rumors were erroneous. We still have the nations best basketball coach in Morgantown for all of those concerned. Should be a very interesting year. * The NFL Draft is this weekend. I may be able to ignore it most of the first day, being my team is the defending Super Bowl Champions and will pick last. * Off the top of my head, I'm not sure what I have planned for this weekend. I think something is planned, but not real sure. I guess that comes with age or hair loss, one of the two. * Moke will graduate May 27th of this year from Clay Battelle. Make a note on you calender to be there. Maybe I should have told Moke that Frank Skubis was my next door neighbor for years and he was actually my Gym teacher at Suncrest when he left to go to Clay Battelle. * Amy will also be graduating from MTECH this year also. I believe this will be her third certification from MTECH that she will have completed. Sterling, VA 04/21/2006: VARGIS LLC announced today that it is merging its operations with its corporate parent, Infotech Enterprises America, Inc. and will be known by that name beginning April 24th 2006. The complete VARGIS leadership and expert technical staff remain intact, and are now backed by the resources of 4,000 associates, including more than 2,200 geospatial professionals worldwide with expertise in data management, software development, conversion, migration and photogrammetry. Infotech is a recognized leader in geospatial and engineering solutions in North America, Europe and Asia-Pacific markets. Infotech’s geospatial business in North America has witnessed exceptional growth this past year based on major contracts with LA County, the State of New York, Public Service Electric & Gas (PSEG), McGraw Hill, GE Energy, Rand McNally and other clients. The company continued its strong penetration within the utilities, government and transportation markets resulting in a 200% increase in new contracts for the fiscal year ended 3/31/06 and a year-on-year revenue growth of 76% for the same period. * I hope everyone has had a good week and they have memorable plans for the weekend. As I have mentioned before, Prime Thyme Softball and WVAQ were scheduled to have a day of paintball battle. Today was that day, and thanks to the very generous hospitality of Mountain Valley Paintball, today was the day of the big showdown. First of all I would like to thank Sean Arthurs and his partners at Mountain Valley Paintball for being very generous hosts and allowing us to partake in their trail run of their park before it officially opens. The day started out great, we met at Rich's Farms, and MVP bused us to the site of the Piantball fields. They walked us through the basics of Paintball and instructed us on paintball safety and how to play the game. They also informed us that they are now officially the home field for the West Virginia University Paintball team, which ironically is currently ranked #18 in the country out of 250 teams. We were given an exhibition by them and the owners of MVP later on in the day. See Video footage. Once we were all informed on how the play and play safely, it was on to the battlefield for the Prime Thyme Softball team. We fought valiantly the first match and won, although I was the first one out. I ran behind a bunker and my hopper on my paintball gun opened up and I lost all my paintballs. Scrambling around trying to reload, and not paying attention the where my body was positioned, I got popped. And for good nature when I was walking off the field of play, I got popped a couple more times to ensure I was killed. We battles heroically for six rounds, and at the end of six rounds the score was knotted at three a piece. The seventh match would be the all deciding rubber match and who could claim the title of paintball supremacy. We fought hard and I took a couple WVAQ players out quick and early, but I fired about 6-700 rounds during that final battle and ran out of paintballs. I was a sitting duck. WVAQ managed to defeat us in the rubber match and were allowed to lay the claim of Paintball victors. Let's see, there has been a good bit of things happening this week that I need to talk about. As you can see by the picture, Terri has a new addition to her family. Last week someone gave her a Pot Bellied pig and she is keeping him as a pet. She wants to call him Billy, I suggested a more pig type name, one that can identify him like Bacon. She likes Billy though and I guess Bacons name is going to be Billy. As you can see Bacon, er I mean Billy has taken a liking to Terri. We were talking that the way he follows her around that Bacon, I mean Billy, is really Tucker reincarnated. Bacon, I mean Billy does have a very demanding personality. Terri said Nick is really attached to him already and Terri feels like a new mother. Let's see, what else is new. Terri and I went out to dinner again this evening, we went to Wings Ole. This is two Saturdays in a row she has had off, although I have a feeling this may be her last for a while, the bar was swamped this afternoon. On my own personal side, a few new things. First of all the Company I work for is now Officially Merging with Infotech (our parent company) and as of monday we are adopting their name and laying to rest the VARGIS name. I did get some good news this past week, I guess I'm going to be able to start working remotely in about another month or two. Instead of me driving to Frostburg every day, it was discussed and presented to me about the opportunity to work from home the majority of the time. It may be another month before all that is set up, I may need to get a new Computer and the ESRI licenses need to be renewed and convertd to a stand alone for me to do this. I also hear from a couple other companies this past week. One had contacted me before and it's just a followup. Nothing serious, the other appears to be quite interested and I may have an interview set up in a couple weeks in Monroeville Pa. I don't know how anything is going to turn out, but it's nice to be able to re-explore my options from time to time. Let's see what other news I have come across. Moke graduates in May, and is also starting or did start to work at Taco Bell. Randy is workign for Kentucky Fried Chicken. Renee and Angela (Moke's girlfirend) have both been accepted into the surgical technician school. I did get a brief chance to talk with Mom tonight and catch up on what's new with her. Would you believe she accused me of not Blogging? I can't let me readers down. Tomorrow I am scheduled to do a Prime Thyme Softball vs WVAQ paintball warriors thing at Rich's farms. If I go I'll be sure to get some pics and fill everyone in on how it went. I hope that everyone has had a pretty decent Easter Weekend. Mine has been to say the lease relaxing and fun filled. Yesterday was WVU's annual gold blue game, this is the spring scrimmage for the football team, it's also the last time the football team will assemble until this fall. My old room mate Greg used to play, and I know what the life of a college football player is like. These guys don't get a break from the time they get on campus a few weeks before everyone else until the spring game. Even after the last game is played, they are still expected to report for winter conditioning and that leads into spring football. After the spring game, the team no longer needs to officially report until the fall again. Anyways, it was a great day, my guess was there was 15,000 plus fans in attendance. All of the proceeds from this game is donated to the West Virginia Childrens Hospital. Probably the best $5.00 you can spend a year. We look very good and this may be our best team ever once it's all said and done, that is until next year when we basically return everyone again. After the game I decided to go and visit Terri. It had been some time since I had the opportunity to see her, so I was going to go to the bar, but she had taken the day off and was at home. I stopped and visited for a while, and took her to Ryan's Steakhouse for her birthday which was last weekend. Jean introduced me to Ryan's last fall and I fell in love with the place, so I took Terri for a nice enjoyable dinner. It was a Steak and Shrimp night, so it was well worth the trip. Today is Easter Sunday and my schedule has been altered a little because everyone is basically closed. I was smart enough to go grocery shopping last night though, so I was ahead of the game. I hope everyone has a very Happy Easter. A neat little interactive desktop that someone showed me today. Desktop Earth is pretty neat, it lights up according to what part of the world the sun is shining in and you can even get it to update a cloud cover for the world. Deal or No Deal (online game) is probably the hottest new game on Television. Howie Mandel hosts the show that starts out with 26 suitcases, goes through a process of elimination, deals to quit and finally a final dollar amount. This is a prime time NBC show that is starting to get a whole lot of attention lately, kinda like when Who wants to be a Millionaire first came out. Today is my middle sister Terri's birthday. I do believe it's her 21st plus birthday, kind of like the ones that I like to have. I am very fortunate to have a sister like Terri. She's a very special person in my and everyone elses life. She's always been a person with an open door and one to help someone in need without hesitation. Happy Birthday Terri, I hope that all your dreams coem true on this day. The last couple of days, I have been having some car problems. I took yesterday off and did some minor maintenance to the car, but to no avail. I then took the car the Cool Ride, Michael Toth's shop, to have it diagnosed. Turns out I have a bad Digital EGR valve. You could out your hand on it and it would cook an egg. They are rather pricely, so we experimented with the idea of simply unplugging it and then running the car. The car ran much better, but the true test was this mornign when I had to top the mountainous regions at 5:00 in the morning. My car didn't perform that well and I didn't feel safe on driving 70 miles in the early wee hours of the morning. I'm going to have to replace the valve today, and that's bottom line. However, when I called into work at about the time I would have got there, I was informed that they were in a White Out. The picture is a picture of my office as I'm sure a few of you have seen previously. Good time to have car problems, almost killed two birds with one stone. Wow, do you believe it. I have managed to add two Blogs in two days now. My niece Amy who previously published a Blog a couple years ago has decided to re-enter the world of Cyber Blogging and has started Amy's Blog. She started one a couple years ago but quickly lost interest on Blogging. Hopefully she will keep it active and up to date. When you are a blogger, it's easy to forget that there are actually people out in the cyber world who manage to read your blog from time to time. It's a great way as I'm sure all of you reading this knows to keep up with what is going on in the lives of some very special people. When we make that commitment to start a blog, we have to go in knowing that your Blog is only as good as you make it. If you're not active, people won't keep visiting to read the same post day after day and month after month. When you do this enough and make it a habit, you build a story, a small piece of history about your life of moments that could very well have been lost in time had it not been for a blog entry. I've been blogging about a year and a half now. There are archives and stories of my thoughts. I've shared the joys in life, the hardships, the dreams or just the good times over the past eighteen or so months. Look back through my archives to a certain time period and see what was going on a year ago from today. (It was the day I started at VARGIS) or what happened on someone's birthday. Blog's are a magical gift, they give you the ability to write a very important story. Maybe there most important story in your life because it's about your life. With a small amount of effort once a week or so, you can create a magical story about the time you spent on this earth for you or anyone else to read in the future. I was chatting with my mentor in the world of GIS this morning and he told me he has been starting to do some web design and he is also doing an "ACTIVE" Blog. So, I decided to add it to my Sidebar and linked JB's BLOG to mine. For those of you who don't know, JB is the man who took me under his wing and taught me a good bit of what I know about GIS. I consider myself very lucky to have learned it the way I did, and JB was one of the main reasons I am as good as I am at it today. Ironically JB lives in Frostburg and used to commute to Morgantown everyday, a few months later the tables were turned and he left the NRAC to work here in Frostburg and I started driving to Frostburg on a daily basis. Small world, we used to work a couple office down the hall, now we work about a half-mile down the road from each other. Welcome to the world of Blogging JB. Last night Kim and Robert once again hosted Poker Night at The SanJulians. A group of eight players got together and played a game of Texas Hold'em. For the second time in a row, I finished in 3rd place. There is no money for third place, so there is no honor and there is no glory. It was an enjoyable game, but even though there wee more players this time, the game seemed to go a little quicker and was pretty interesting. Kim showed me she is a seasoned Texas Hold Em player once again, but she finished in fourth place. I started to get ready for the night by practicing on my favorite Texas Hold em site, PartyPoker.net. They had an upgrade to the system recently, so I upgraded the software and played a few tournaments to get ready for the nights festivities. I did win the last one that I played in, so I thought I was ready to win this tournament. This is the final hand when the whole tournament was culminating and a winner was declared. Thank you Kim and Robert for hosting a great night of entertainment, I'm already anticipating the next game, that I intend of winning.